Last week I talked about setting up your guitar rig for worship and this week I’m going to talk about how to build a worship keyboard rig. My friend David Pfaltzgraff from sundaysounds.com is going to help us identify the sounds, the software, and the hardware that every worship band needs. My friend David Pfaltzgraff of SundaySounds.com is an expert when it comes to worship keyboard rigs and he joined me to show us what we need for a rig to help you produce the same sounds that you hear on all the popular worship albums from Hillsong, Elevation, Bethel and so on. It can definitely be intimidating, but he gave me some foundational and helpful insight into the kinds of sounds we should be looking for. Let's start off by talking about the piano sound. It's the most basic ingredient of most modern worship keys rigs. If you find one great sounding acoustic piano sound, stick with that, and then you can worry about effects and nuance later on. The next go-to ingredient is the pad sound which serves as the glue in your mix and has a huge impact on atmosphere. There's a huge range of pad sounds available to you, but all you need to do is find one type of pad sound that’s nice and warm that doesn't get too bright or too bass-y. You just need it to sit in the middle or the low-mid range to hold everything together. You want to make sure the pad also has a little bit of motion to it so it doesn't just sound like a drone that's going on forever–you want some nice, subtle transitions as you change progression. Now we’re going to talk about about arpeggiated and time synced sounds. This stuff is often the undercurrent of a lot of big epic worship songs, and it's also at the forefront of a lot of more upbeat songs like Elevation Worship, Hillsong Young & Free kind of stuff. You need to be running to a click in order to use these types of time synced sounds, but if you are, then they can add so much energy, some intensity and drive as you're playing. Depending on your team’s skill level, there are all sorts of different textures that you can throw into your mix. David gave us a few guidelines for producing the sounds on our own. There's a decent chance you can identify a nice pad sound, a nice warm piano sound inside the keyboard that's already set up at church. The traditional approach has been to buy the latest and greatest hardware keyboard, but there are some real cons to that approach. You're generally locked into the sounds that come with the keyboard. Sometimes they're not super volunteer friendly or intuitive. It’s also a really expensive approach to take, especially if you go for top-of-the-line hardware keyboards. Instead of going for expensive hardware, use inexpensive software that can generate the sounds for you. You can almost always use the keyboard you already have as the input source, and then use a computer as the brain that actually generates the sounds. Tons of flexibility to use different softwares and buy different plugins making to make your software expandable and flexible. You can use a lot of the gear you already have, oftentimes you can get a new rig up and running for under $100. You only have to take the time to learn how to use it and then train your volunteers on it. If you're on a tight budget, you can buy a great software for your Mac called Mainstage 3 which costs $30 in the App Store. We’ll cover more of that later. After David walked me through his software, he showed me how he fit it into his over all rig. First, you need a keyboard. The keyboard David uses is a M-Audio Hammer 88. You can also opt for an Akai Professional MPK88 Keyboard. Then you need a MIDI controller to create, input and control the sounds going from the keyboard into the computer. David has a nanoKONTROL 2 which he uses whenever he’s leading worship. It’s only $60 and you can get on it on Sweetwater or Amazon. Protip: Consider the way that the input is going to feel for your keyboard players. If you have a keyboardist who plays piano, you might want to invest in a keyboard that has a piano-like response with weighted keys that feel natural and expressive. If you have an older keyboard and you're not sure if you can use it as a MIDI controller, all you need is a $10 to $20 adaptor. Don't be intimidated by the hardware connections that you need to make. So now that we have our input device figured out, we need to choose what software will work for us. The the thing to keep in mind is that you need some sort of host that can hold or contain and play back the sounds that you want to use. Mainstage 3 (most people go this route). There aren’t as many built-in sounds, and you're oftentimes looking at a bigger investment up front and buying some expansion plugins like Omnisphere 2, as well as some piano plugins to actually flush out the sounds that you have available. If you're using a Windows computer, then go the Ableton Live route. You could get Ableton Live Intro, which is only $100. There are even templates that you can use to have some popular sounds allowing you to have a budget-friendly Windows setup. Other software plugins that contain synthesizer and piano sounds from plug-in manufacturers like Omnisphere 2 from Spectrasonics. The input device for your keyboard. How the computer reads those notes with the software like Ableton, Omnisphere and Mainstage 3. Now, we have to send that sound to the front-of-house sound console so the congregation can actually hear it. It has two XLR outputs on it so it's ready to go right into the sound system of your stage box. It also has USB on the other end to go into your computer. It makes a worship leader’s life way easier. You just go to Preferences > Audio > select audio output. 2. Here you can see we have a Scarlett 2i4 USB (another audio interface) selected, and Mainstage 3 is sending audio to that audio interface. 3. Then from there it's going to the sound console. Now we’ll just unpack the benefits of using an audio interface when it comes to your computer processing this information. Computers aren’t really designed for pro-audio output. Audio interfaces have an internal processor that’s only to processing the audio in real-time. When you play notes on your keyboard, it goes to your computer and then it goes to your audio output, and there's some delay between when you play a note and when you hear it which is called latency. 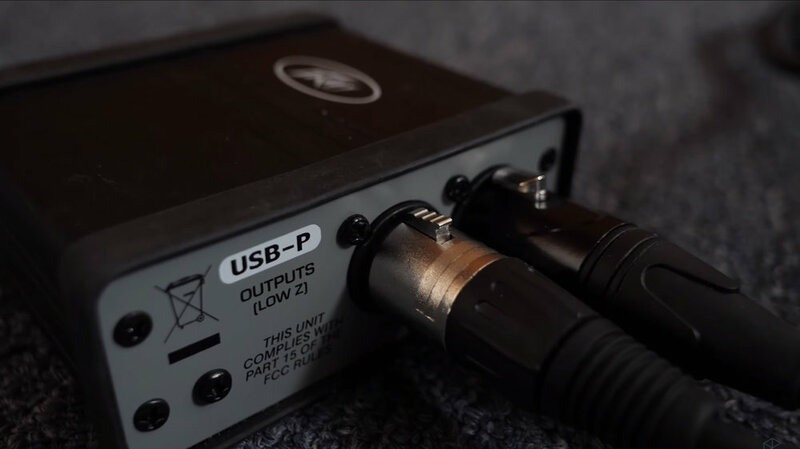 Sometimes using an external audio interface can reduce that delay so that it feels more responsive. Protip: If you have an older computer or an underpowered computer, using an audio interface can really help things feel less sluggish. The next benefit it separation from everything else that's going on in the computer. You can have a big increase in audio quality because of the audio interface. We talked about the MIDI control device, the computer running our digital audio workstation and the the last thing I want to talk about is David’s setup in MainStage. A few years ago, David was trying to replicate the sounds he heard in popular worship songs on Mainstage 3. He started experimenting with the plugins that Mainstage has, and then started to build sounds from scratch within the software. It ended up turning into a template for Mainstage called Sunday Keys. Sunday Keys comes with a huge library of sounds that’s curated for modern worship. MainStage comes with thousands of presets, but they're designed to cover tons of genres that might not be relevant to worship music. In Sunday Keys, everything that you can select is specific and relevant to worship music. You don't have to own any expensive third-party plugins or sample libraries. Everything is programmed within MainStage 3. If you want an organized list of all the gear David and I use for our piano rigs, feel free to download my Worship Ministry Toolkit which is a spreadsheet containing everything I use and all my recommendations for gear and software for worship. 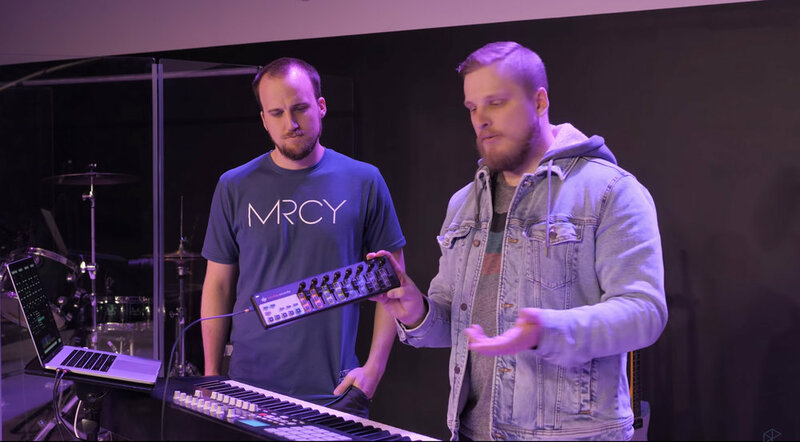 If you want to take this training a step further, I’d like to invite you to WorshipLeaderSchool.com where David and I have created an entire masterclass about optimizing the keyboard for worship. With this class and the other classes in my Worship Leader School library, you’ll get a ton of the best resources and insight from my 10+ years of experience. You’ll also have access to a library of material that covers the best practices and “how-to’s” for the pastoral, musical and technical aspects of leading worship. You’ll join a community of pastors from around the globe who share their experiences and knowledge. Each week, you can chat with me or a member of Worship Leader School during my online Office Hours to strategize and receive real time support for your worship ministry. Sign up for Worship Leader School so that we can connect and chat about what you’d like to accomplish in your church!